Heat the oil in a heavy large pot over medium high heat. Add the onions and garlic and cook, stirring, about 8 minutes. Add chili powder and cumin, stir one minute. Add the water, black beans, oregano, orange peel. 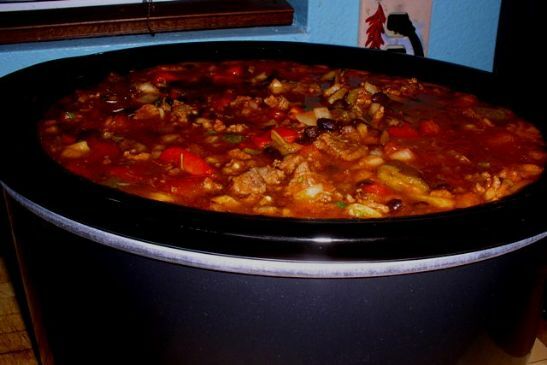 Bring to a boil, reduce to medium-low, cover with lid slightly ajar, then simmer until beans are tender, about 2 hours. Add chipotle chiles, season to taste with salt. Simmer until the beans are creamy, mashing coarsely with a potato masher to desired consistency, adding more water by 1/2C if too thick, stirring now and then, about 30 minutes longer. You can make the recipe up to this point as much as 3 days ahead. Char the chilies over flame/broiler until blackened on all sides. Place in large bowl and seal. When cooled, peel, seed, chop. Place in a medium bowl, add onions, salsa verde and season with s&p. Stir sour cream and minced chipotle in medium bowl. Cover, chill. Heat the oil in a large skillet over high heat. Sprinkle ribs with s&p. Working in batches, add ribs to skillet, cook until browned all over, about 7 minutes per batch. Transfer to medium bowl. Repeat. When done, return all ribs and juices to the skillet. Add broth, cover and reduce heat to low. Cook until ribs are tender, stirring now and then, about 40 minutes. Transfer to a medium bowl. Meanwhile rewarm the chile. Stir in the cilantro and cumin seed into the salsa. Serve buffet style, or divide chili among bowls then top with pork, salsa, crema and cheese. And beer. Lots and lots of cold beer.